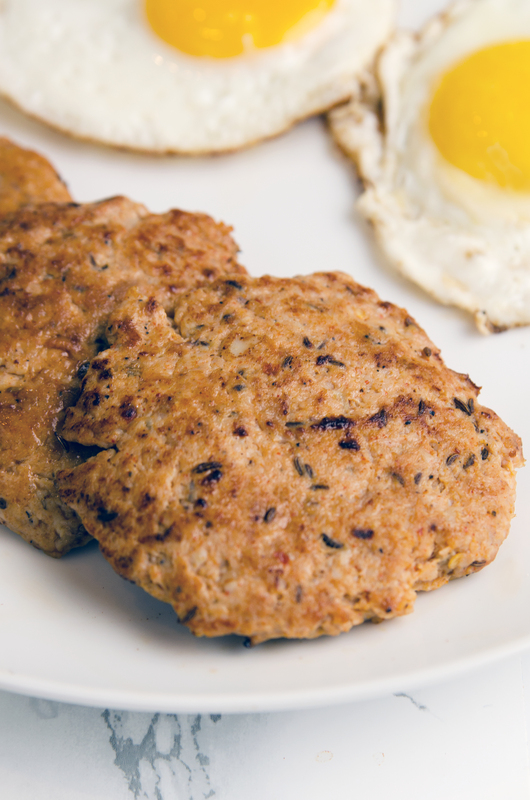 This recipe for Healthy Chicken Breakfast Sausage is low in calories and big in flavor. It can be made in advance and reheated. They say breakfast is the most important meal of the day. So, I try to eat it every day. 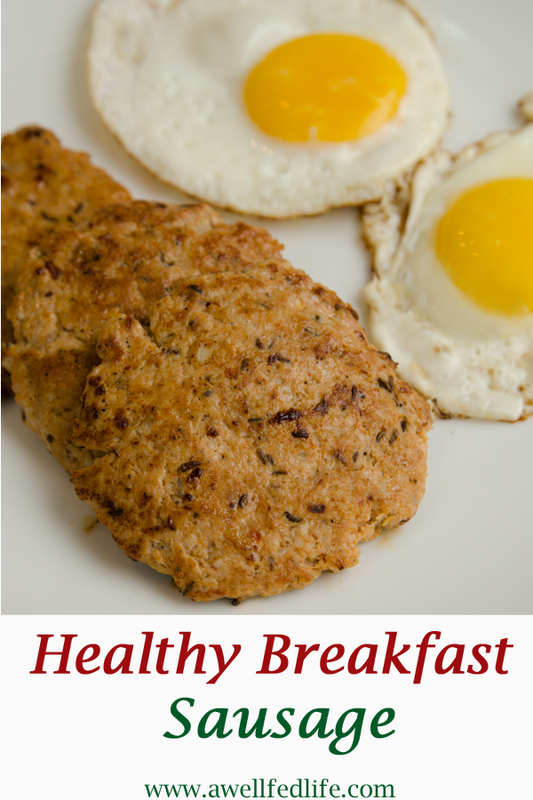 But, in my opinion, breakfast one of the hardest meals to cook quickly and healthy. Well, folks, I’ve got a solution for you. 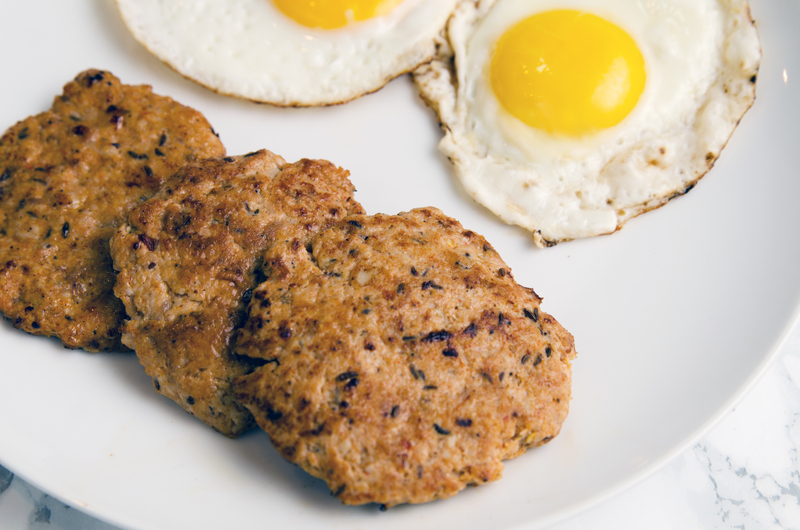 Meet your new breakfast best friend, healthy chicken breakfast sausage. These make-ahead sausages deliver great flavor. They are 100% natural, low in fat and high in protein. You can make this sausage with any meat you want, but I recommend chicken or turkey breast for the skinniest version. 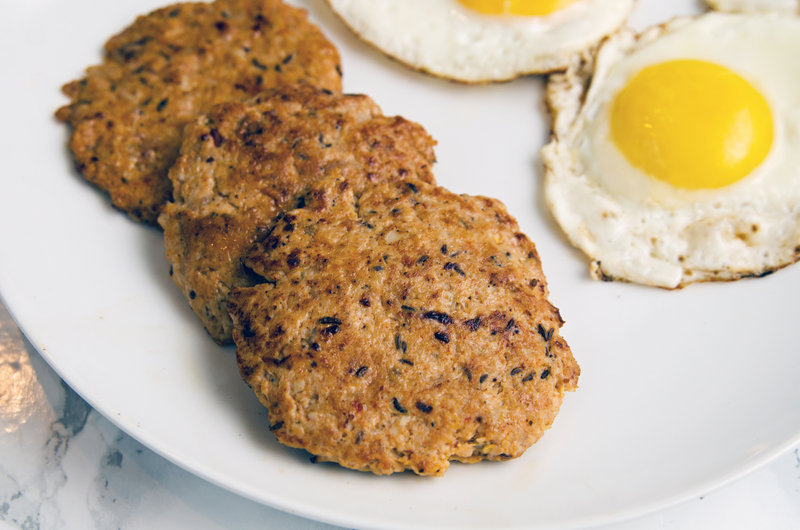 They are a major time saver and the perfect addition to a quick breakfast sandwich. Paleo and Whole30? just skip the maple syrup they are still very tasty. Cut meat into 1" chunks. In a food processor, grind ingredients until combined and meat is finely ground. 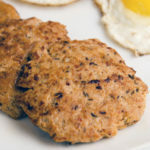 On a parchment lined (or well greased) baking sheet, form 2oz of the meat mixture into patties. Enjoy fresh cooked or cool and store in an airtight container in the refrigerator for up to a week. Reheat in a greased skillet on medium heat for 2 minutes on each side or until lightly browned and hot.